OMG how much have I missed - where have I been? 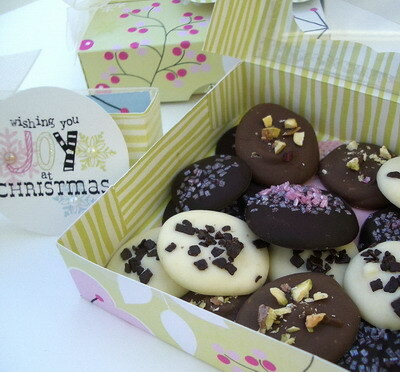 These choccies look delicious and are beautifully presented in your gorgeous box. Got to mention the Tree card, Snowflake and the Corsage too - fabulous. Have a great weekend Vicky. ooo gorgeous looking chocs and packaging! 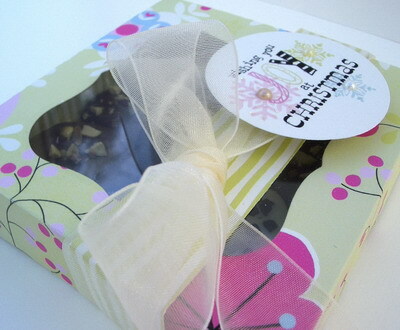 Such a beautiful gift Vicky, not only handmade packaging but handmade choccies too !! Wow these look so good and such lovely packaging. fabulous idea I might case this one if its OK.
seriously yummy box! Love what you've been making recently! They look delish Vicky. How many did you eat before they were packed away in that gorgeous box?? ?